Works on rabbits and other small animals! 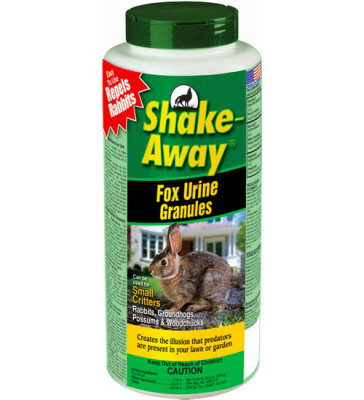 Shake-Away Critter Repellent use fox urine to create the illusion that predators are routinely visiting your flower beds or gardens. 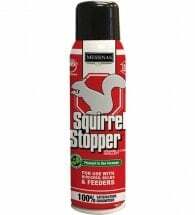 This non-toxic formula can be used around edible produce and is ideal for repelling rabbits, groundhogs, opossums and woodchucks. OMRI Listed for use in organic production. • Non-toxic formula — no poisons! 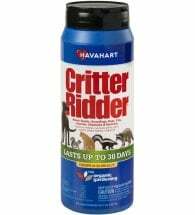 Apply lightly twice a week for the first two weeks, and then once a month for maintenance. Each 28.5 oz. 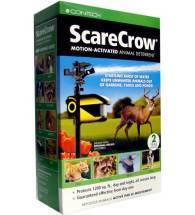 container protects 855 linear feet of lawn or garden. 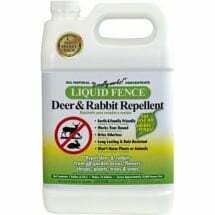 Prevents deer and rabbits from eating flowers, trees, shrubs and vegetable gardens.